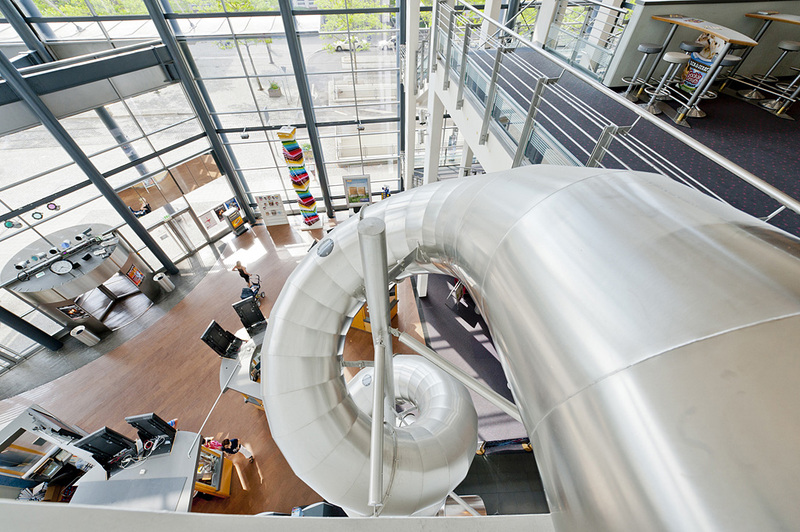 More leisure fun at the CinemaxX Magdeburg. 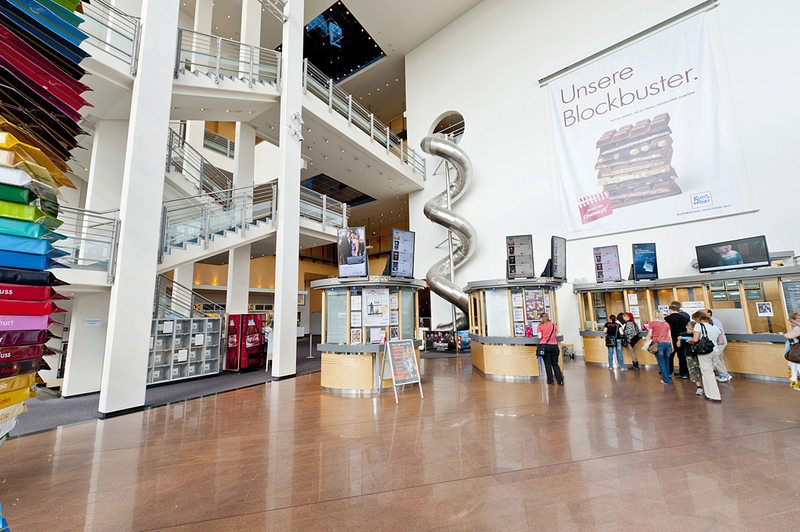 The adventure slide at the CinemaxX Magdeburg / Saxony-Anhalt continues the success story of our slides with the cinema chain. 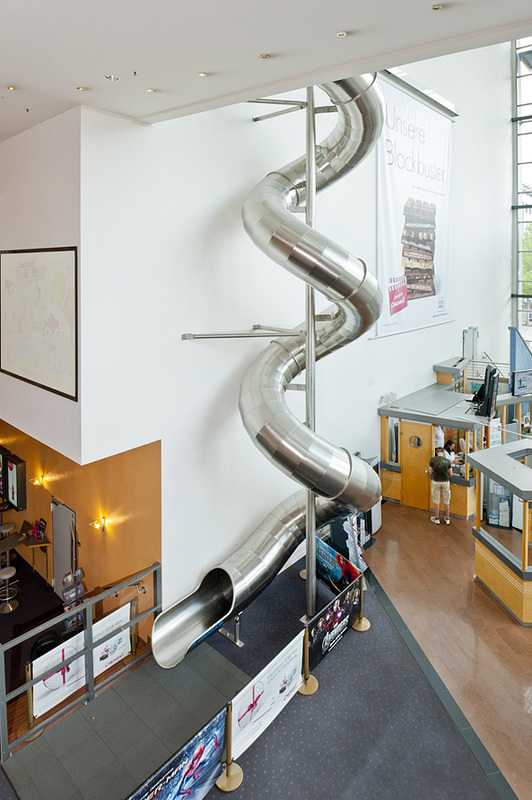 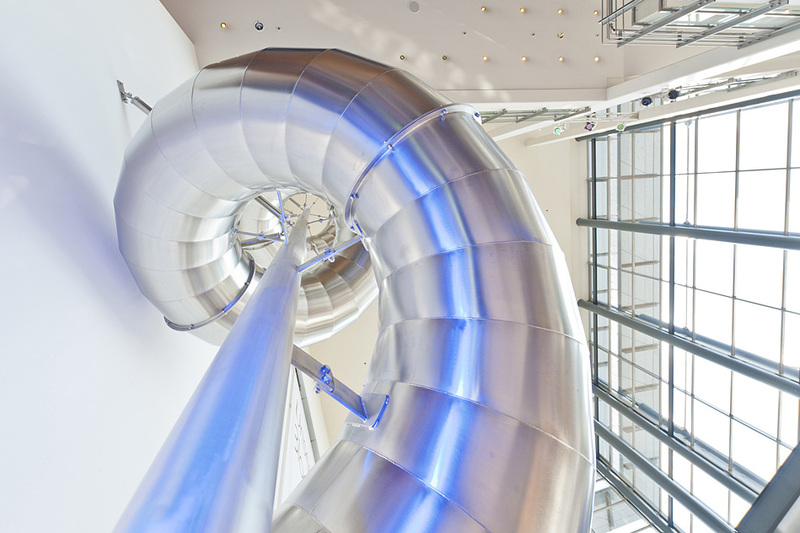 Visitors to the cinema can slide down directly from the upper gallery of the cinema to its foyer via the 10 metres high spiral tube slide. 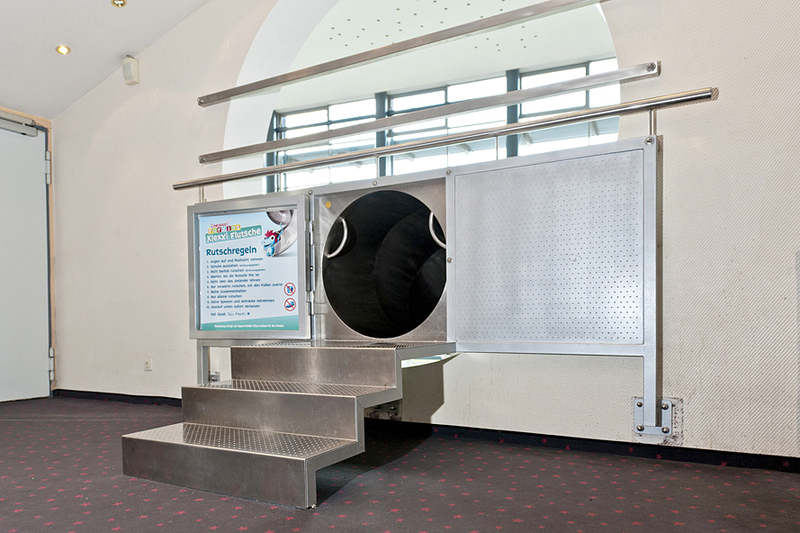 This idea is extraordinarily well received by the guests and has helped make the CinemaxX even more popular and known throughout Magdeburg.